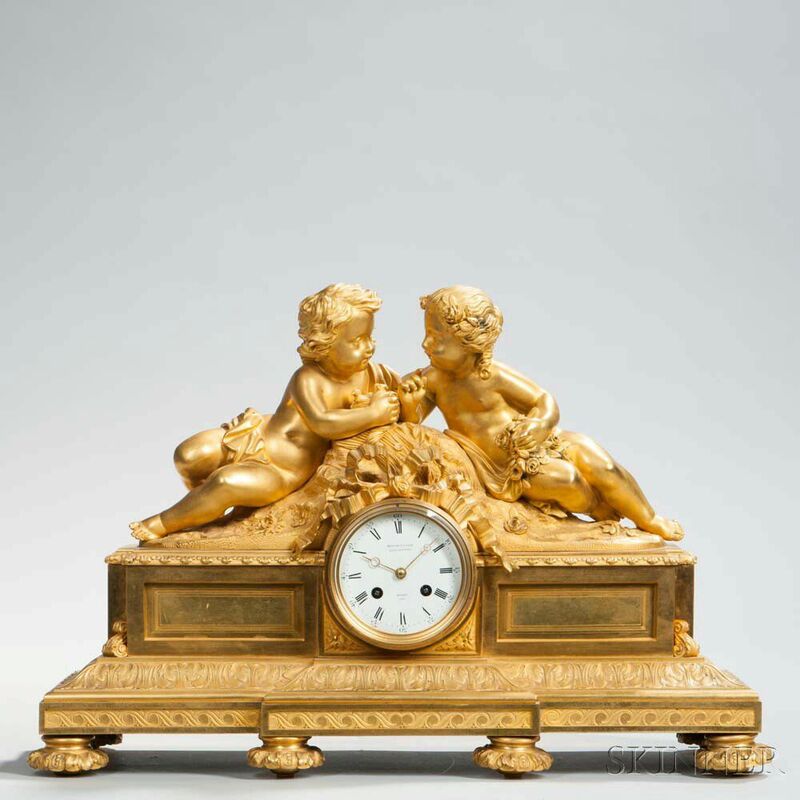 Bourdin Gilt-brass Figural Mantel Clock, Paris, c. 1875, depicting putti resting on a hillside with one holding a bouquet of flowers the other a small birds nest, lower corner signed J. Feuchere del Institut, a flowing central ribbon surmounting the 4-in. roman numeral porcelain dial marked Medlle de 1st Classe exp. Univ. 1855, Bourdin Paris, with gilt Breguet-style hands, central base with inset panels, and corbels resting at the corners, and ogee acanthus leaf molded base, all resting on verdant-decorated squat bun feet, eight-day, time and count wheel strike mechanism marked Bourdin Paris, wd. 22, ht. 14 in. Dial with no hairlines, overall good condition, has a key. Clock ticks and strikes.